Buckie Harbour was built over 100 years ago to serve the fishing industry, growing over the years to include a significant cargo industry as well. The decline of the fishing industry over the last 20 years in the UK has had an impact on the port, like many others. Although Buckie Harbour is far from dead – timber, grain, lubricants, fish, manufactured goods and other commodities all pass through – it is not operating at full capacity. Offshore wind is a major opportunity that could act as a catalyst to the wider revitalisation of the harbour, the town and the region. The Moray Council and Highlands and Islands Enterprise (HIE) have identified, as a strategic priority, the potential to to serve the developers of the world’s third largest offshore windfarm, proposed to be built in the Outer Moray Firth: the joint BOWL/MORL windfarm, which could see over 300 turbines constructed. Buckie has great potential to be a part of this. 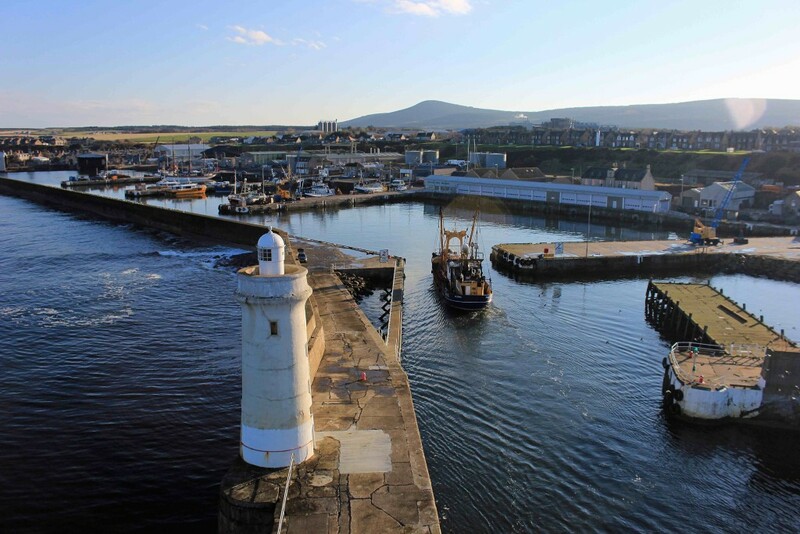 To examine how to best develop the Council-owned harbour to take advantage of this significant opportunity, while at the same time enabling existing harbour-based businesses to continue to grow, the Moray Council and Highlands and Islands Enterprise commissioned a masterplan. The masterplanning team included Willie Miller Urban Design, Brian Burns Associates, Ryden, yellow book and ourselves. You can see the masterplan below. HIE and the Moray Council are now working hard on delivery. We’re pleased to support Scotland’s low carbon future through this masterplanning exercise. 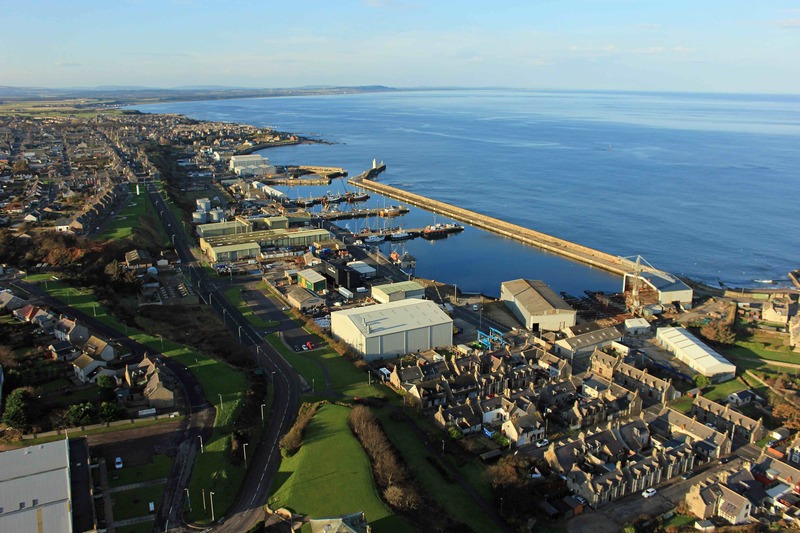 If the potential of the offshore wind resource is realised, delivery of the masterplan has the potential to reposition Buckie as a growing harbour, integral to the development of one of the fastest growing new industries of the 21st century. And who knows where the major long term expansion of the harbour promoted by local businesses might lead? With the rise of Arctic trade routes as polar ice recedes and new resources are opened up in The New North, north-east Scotland’s ports are ideally located to re-emerge as internationally important.